Here’s my latest piece for In Touch magazine. The article is about the martyrdom of Stephen. 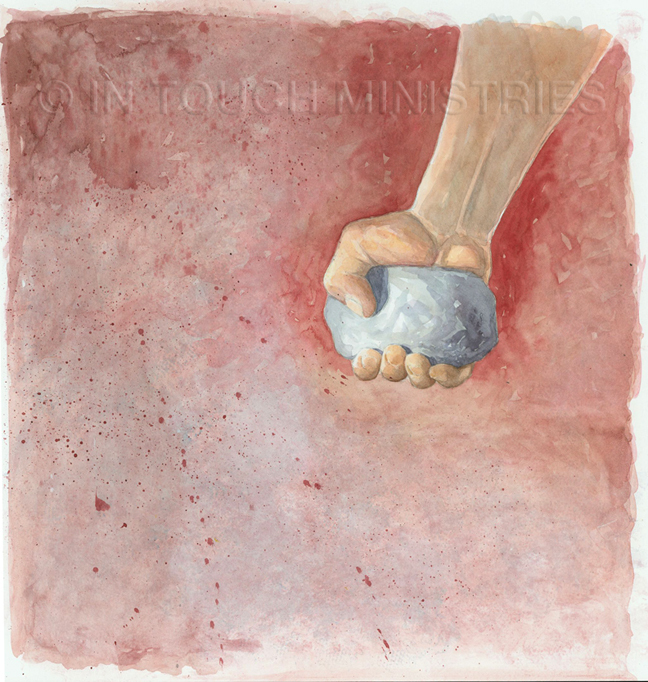 Rather than show Stephen himself, or the angry crowd that stoned him to death, we felt it would have more impact to just show a single hand clutching a rock. The piece was done in watercolor on illustration board. 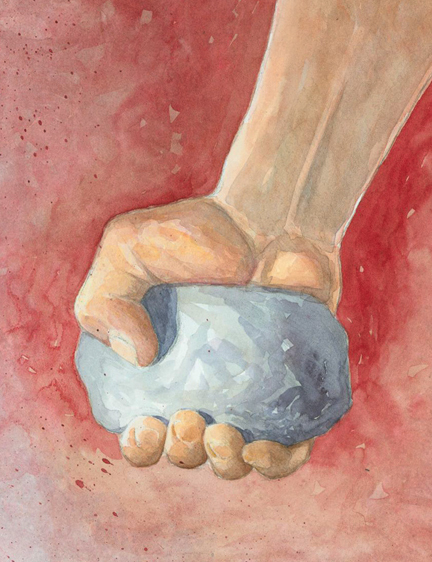 Below is a detail of the piece.